Behind The Thrills | The fear is here! 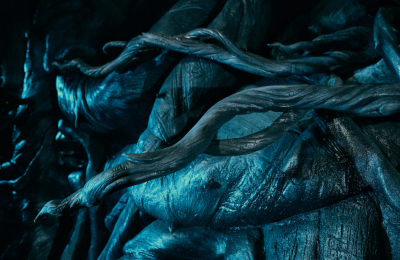 Universal Orlando unleashes hell with Halloween Horror Nights 25 line up! The fear is here! Universal Orlando unleashes hell with Halloween Horror Nights 25 line up! The fear is here! 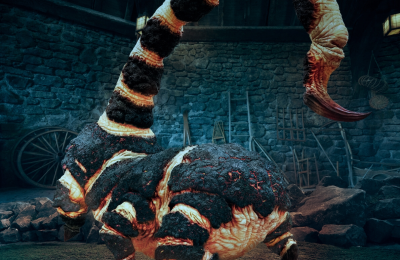 Universal Orlando unleashes hell with Halloween Horror Nights 25 line up! It’s a top rated theme park haunted attraction. It has legions of fans who track every move, every step and every breath all year long. There’s been icons, and huge stories, and tons of changes over the years, but one thing has never changed. Halloween Horror Nights delivers a haunted experience that you can’t get anywhere else for Halloween fun. Today, with just under a month left before the event premieres, Universal Orlando has unveiled the final pieces to this year’s HHN puzzle. They have unleashed a line up that takes us from an epic battle, a fight for survival, back to London, and further than anyone has ever gone. We’ll have collectors, and killer clowns, demented fairy tales and more nightmares than you can probably handle. Are you ready for Halloween Horror Nights 25? Universal Orlando has unleashed their full line up for this year’s Halloween Horror Nights. It’s an eclectic mix of well known horror franchises, as well as a deep dark look at HHN past, but with a twist. Nine mazes, five scare zones, two shows, thrilling rides, and more fun! You’ll see all new characters, but TONS of returning favorites. Plus some of your favorites like never before! Whether you call it a house, or a maze, this is what you’ve been waiting for! The huge list is nine mazes long this year, and is made up of all kinds of demented goodness. Freddy Vs. Jason: You’ll take a walk through the nightmares of two of horrors most iconic franchises, as they meet for a huge final showdown. Camp Crystal Lake, and 1428 Elm Street collide as you run for your life. The Walking Dead: The iconic zombie show is back once again at Halloween Horror Nights Orlando. The new maze will take guests into some of the legendary moments from season five, including a watery walker attack! Insidious: Go into the Further as you follow the path of all three films, meet the terrors that have haunted the big screen, and try to get back without anything following you out. An American Werewolf in London: The terror returns as one of the most popular attractions in HHN history comes back for a second bite. A new look, more wolves, and more terror! Sure, the great IP houses are amazing, but what about the original content? After all, that’s what the event was built on. This year, there are four all new houses, each with a clever nod to the past! 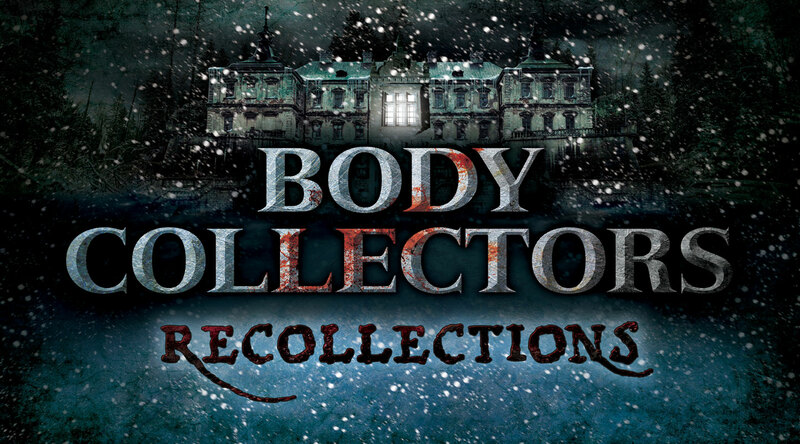 Body Collectors:Recollections- An all new story takes the most gruesome of collectors return. They are on the hunt for some fresh parts, and come across a place familiar to HHN fans…Shadybrook Asylum. It’s the site of Psychoscarepy, and man is this going to be one twisted trip! 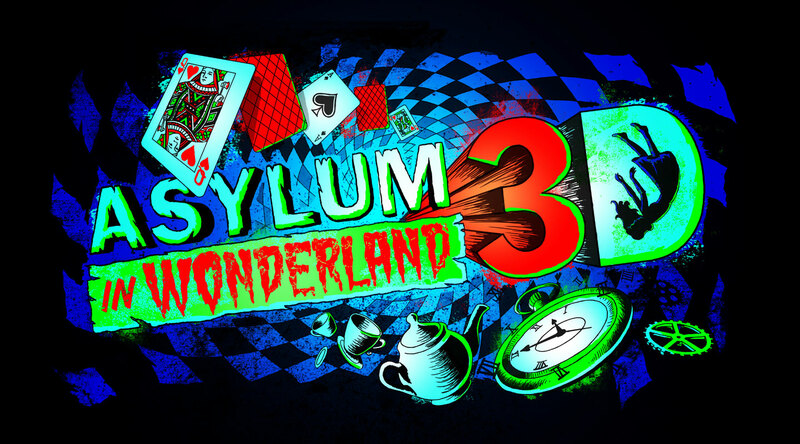 Asylum in Wonderland 3D: The rabbit hole went from the streets of 2008, to an all new house with Alice, the White Rabbit, and more. Off with her head? Better watch yours first! It’s all in 3D, and maybe it’s all in her mind. 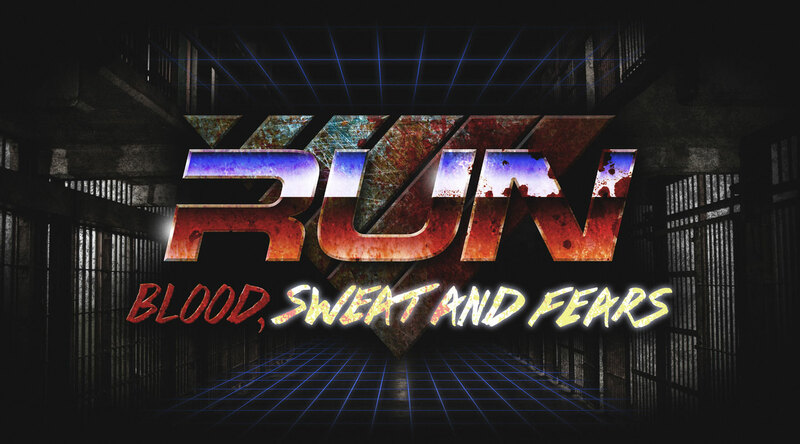 Run:Blood, Sweat and Fears- This house will put you in the most popular and brutal television show in the world as you dodge skilled assassins called Reapers. You’ll try to escape the death traps as you navigate another maze from the past…Hellgate Prison! Two classics in one place! 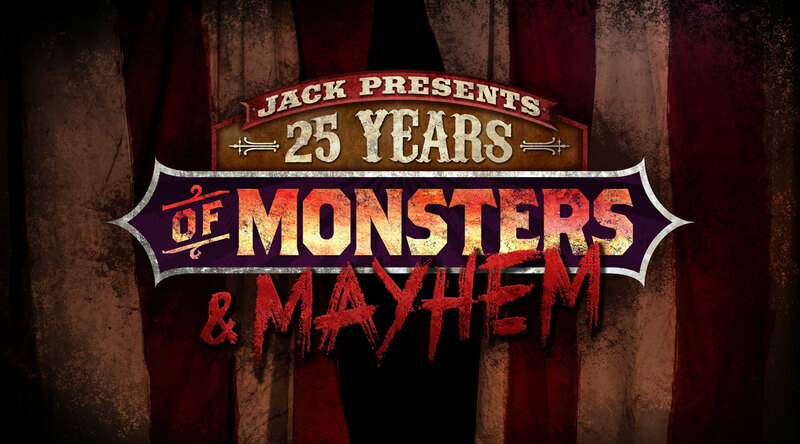 Jack Presents; 25 Years of Monsters & Mayhem- The grand daddy of them all is back from the lantern, and he’s bringing some old friends from the past. Meat grinding maniacs, Universal Classic Monsters, and all sorts of ghosts from HHN past will come back to haunt you as the King of Killer Clowns returns! Iconic scare zones are once again back, and bigger than ever with five all new takes on classic themes. They will fill the street with the sounds of chainsaws, and screams as you get chased, hunted and scared at every turn! The huge question is just how much terror will be packed into the new scare zones? Stages, and all kinds of mayhem await! Psychoscareapy: Unleashed- The inmates of Shadybrook have escaped, and they have been unleashed on the streets of a New York neighborhood. It promises to be one of the bloodiest scare zones ever, as inmates have their own “special” costume contests. ICONS: HHN – This is for all the fans. The main icons of the past will return, and it will even see the return of the amazing Rat Lady! She will joins all kinds of minions of HHN past as they scare you into the future! Evil’s Roots- Tradition meets “Grown Evil” as scarecrows, pumpkins, and giant bats all stalk you through the night in this scare zone that is sure to be a fan favorite! From legends to legendary goof balls, the shows will fill in the screams with the sounds of laughter, and fun. Bill and Ted’s Excellent Halloween Adventure: Simply put, if it’s not Bill and Ted, it’s not Halloween. 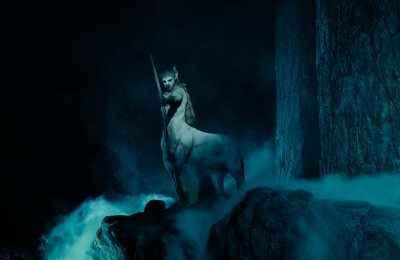 The Wyld Stallions return for another Excellent Adventure through pop culture and the music of the last year. The Carnage Returns: Jack is back. How could he not be? The king of the Killer Clowns brings back his lovely assistant, Chance for more gore, more blood, and of course…more Jack! This is looking to be a huge blast from the past, as well as a great look at some of the biggest names in horror!